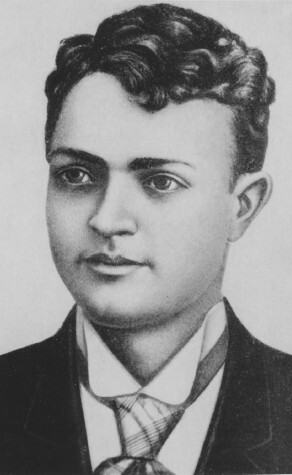 Stadnyk, Yosyp [Стадник, Йосип], b 18 March 1876 in Valiava, Peremyshl county, Galicia, d 8 December 1954 in Lviv. Theater director and actor; husband of Sofiia Stadnyk, father of Yarema Stadnyk. After completing a theatrical education he was an actor and director in the Ruska Besida Theater in Lviv (1894–1913), led it in 1906–13, and left it to lead his own troupe, the Lviv Ukrainian People's Theater (1913–14). He was interned by the Russian authorities during the First World War, and then worked in Sadovsky's Theater in Kyiv (1917–18) and, in 1919, led the Theater of the Western Ukrainian National Republic in Stanyslaviv. Stadnyk directed and administered the reborn Ukrainska Besida Theater (1921–3); led various touring theaters—the Union of Ukrainian Actors (1924–6), the co-operative Ukrainskyi Teatr (1927–31), and Stadnyk's Artistic Tour (1935–9)—in Western Ukraine; was appointed artistic director of the Lesia Ukrainka Theater (1939–41); and worked as a director in the Tobilevych Theater (1933–5), the Lviv Opera Theater, the Drohobych Theater, and the Lviv Theater of Miniatures (1945–7). He was subsequently exiled by the Soviet authorities to Uglich, Russia (1947–54). Stadnyk played over 100 roles, mostly character roles in a realist style, in plays by Mykhailo Starytsky, Marko Kropyvnytsky, William Shakespeare, Molière, Johann Christoph Friedrich Schiller, and Nikolai Gogol. As a director he staged over 200 productions of dramas, operas, and operettas, including H. Heijermans's Good Hope, E. Rostand's Les Romanesques, F. Grillparzer's Des Meers und der Liebe Wellen, F. Schiller's Wilhelm Tell, Mykola Lysenko's Nocturne, Denys Sichynsky's Roksoliana, Yaroslav Y. Lopatynsky's Enei na mandrivtsi (Aeneas on a Journey), J. Offenbach's Tales of Hoffman, K. Zeller's Obersteiger, Franz Lehár's Die Zigeunerliebe, and Johann Strauss's Der Zigeunerbaron. He translated numerous dramatic works into Ukrainian.